Yes! I'm doing Iron Craft for another year. I love these challenges so much and look forward to completing each and every one of them. Sometimes the challenge is tough, and sometimes it spurs me to work on something I've been putting off or wanting to try. Well... I was going to be all... APPLIANCES for this challenge. I thought about making those felted wool dryer balls. You know... for that dryer type appliance I have. But I got a little worried about the wool. I'm severely allergic to wool. Welts city all over my skin when I come into contact with it. Shhh... don't tell anyone. They might revoke my crocheting cred if I admit to it. Actually my allergy to wool extends to most store bought make-up as well because they typically use lanolin from wool to make their products. I thought about wearing gloves while I made the balls and hoped that the felting process in the washer might rid the dryer balls of the lanolin. But I wasn't sure I wanted to take the chance. So, long story short, I went with florals instead. 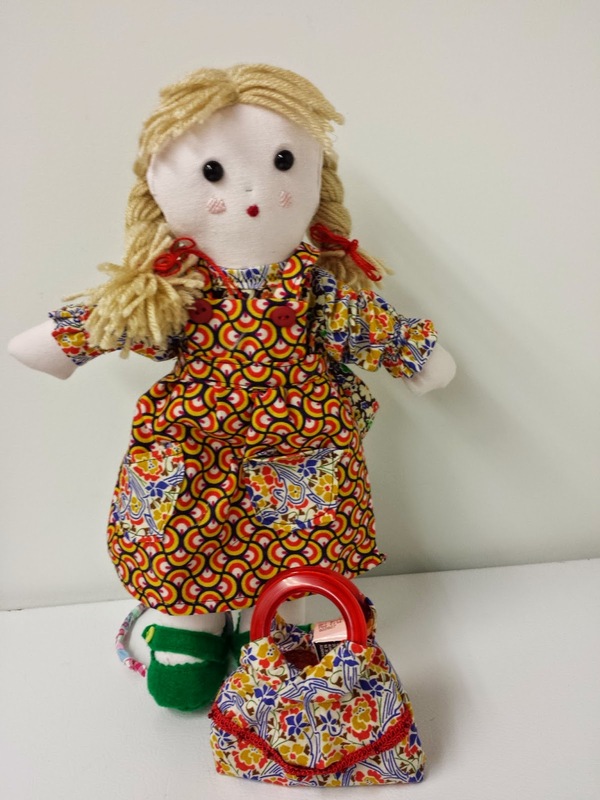 Everyone meet Katie - my floral doll. 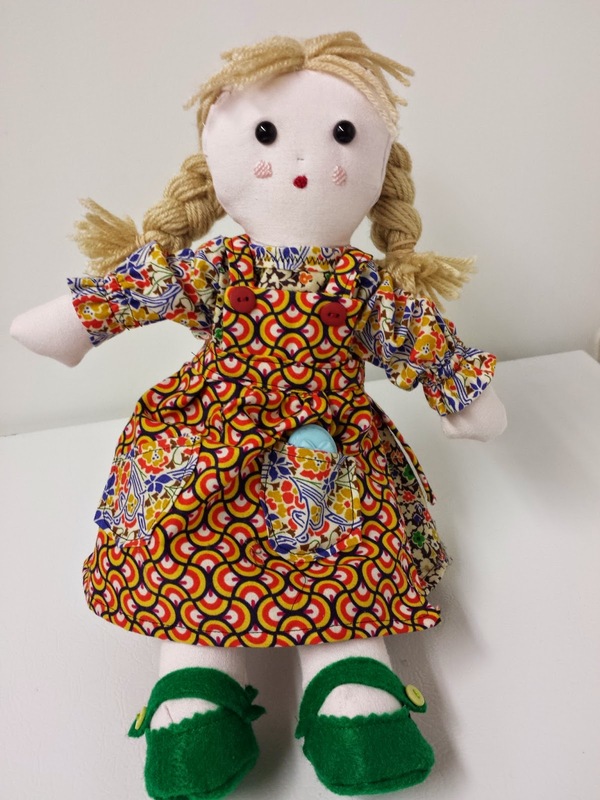 I made the doll using the pattern from the My Rag Doll book. Well... mainly... I changed it up a bit to add my own flare to her. This book is fantastic by the way. 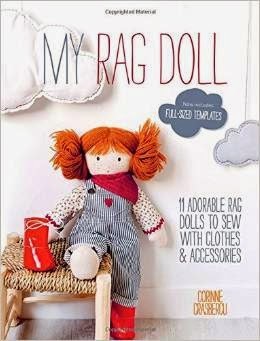 It has tons of tips and tricks for doll clothing and facial expression and hair. Love it! 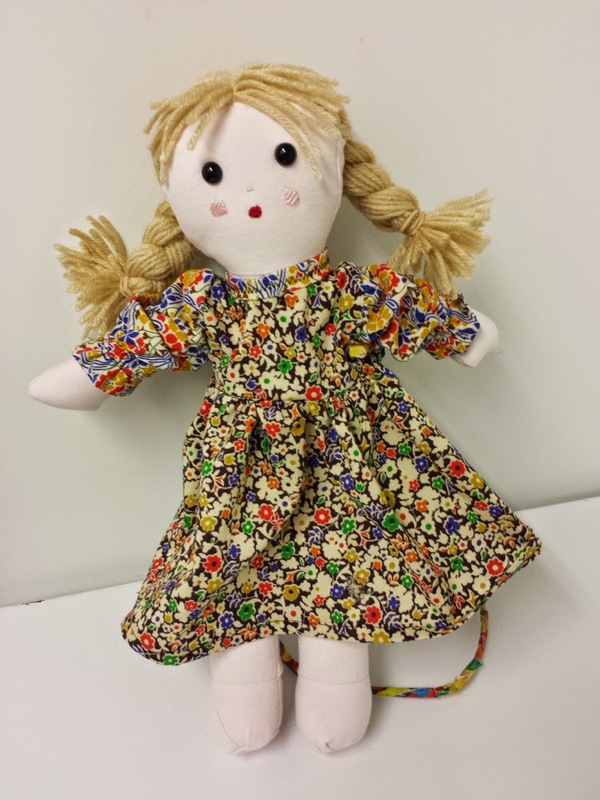 Then I took some of my prized Liberty of London fabric and made her a floral dress. Then I made her some felt shoes. Lane immediately claimed Katie as her own (actually it was Lane who named her Katie in the first place). 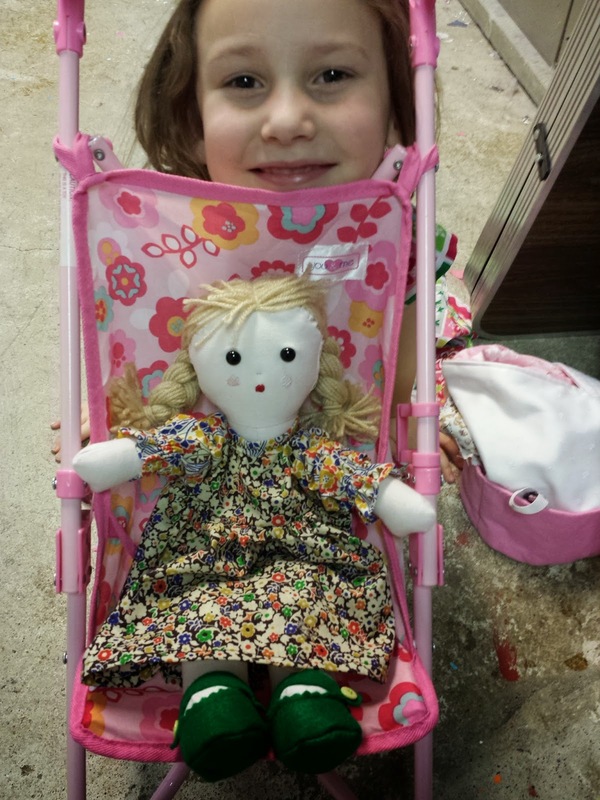 Lane wheeled her new dolly around in her play baby stroller for hours. But I wasn't finished with Katie yet. Katie needed an apron/pinafore over the top of her dress. She also needed red ties in her hair and a fancy new handbag. Those handles are actually curtain rings! They were the perfect size to make a pretty floral handbag for Katie. I could have gone on and on and on making things for Katie, but Logan stopped me and asked if he could have a boy doll to play with. So I stopped and made Eddie which you saw in a previous post. Over the top floral? Possibly... but I couldn't help it. 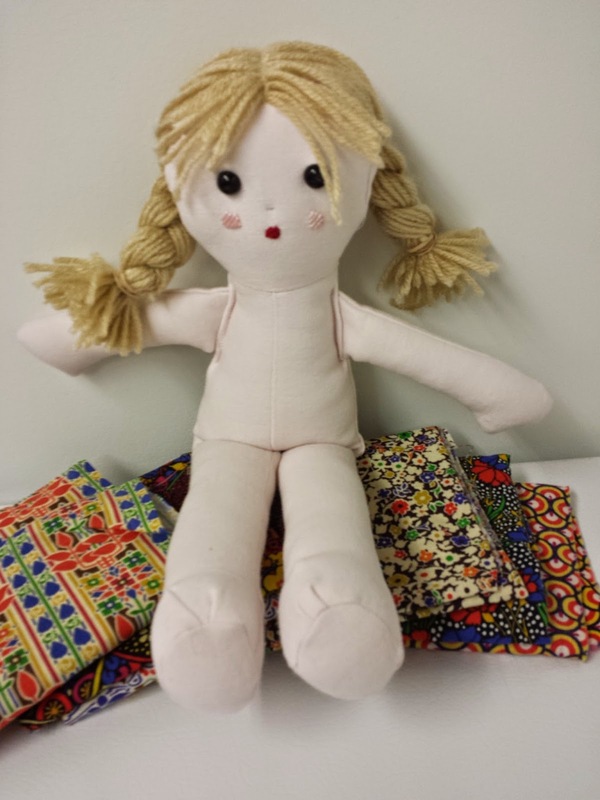 I love love love love love love making dolls. Maybe I'll actually be able to list a few in the shop this year without having someone (or maybe me) claim them as their own. To check out all the other 4th anniversary Iron Craft projects, click on over to the Flickr Group. And cheers to another fantastic year of Iron Crafting! I'm so glad you enjoy the challenges! 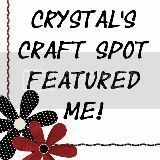 They really spur me on to crafting too. I love you doll! I made similar ones years ago for twin cousins and a friends little girl. 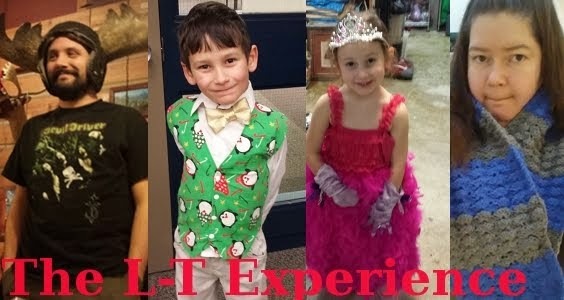 Making the clothes was so much fun, I did jeans, knit sweaters, skirts and knit dresses. Susi and I always used to laugh at the amount of people who said they were allergic to wool at the knitting store, but wow, you really are! That has to be so frustrating.